Jason Spindler, who narrowly escaped the attack on the World Trade Center in 2001, was killed Tuesday when extremists raided a luxury hotel and shopping mall in Nairobi. An American who was among at least 21 people killed in Tuesday’s terrorist attack in Kenya was a graduate of a private high school in Maine. 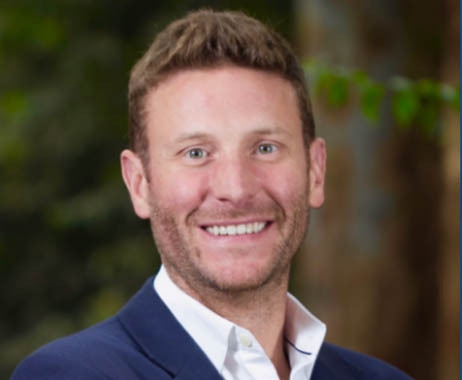 Jason Spindler, co-founder of the San Francisco firm I-DEV International, grew up in Houston but attended Hebron Academy, a private boarding school in Oxford County. He graduated in 1996. Spindler, 40, lived a varied and dramatic life in the years that followed, including narrowly missing the Sept. 11, 2001, terrorist attacks while working as an investment banker in Manhattan. Spindler’s office was inside the World Trade Center and he arrived to work that morning just as the first tower fell. His former college roommate, Kevin Yu, told The Washington Post that Spindler ran into the rubble immediately to start pulling people out. Spindler was a victim of an attack on a luxury hotel and shopping complex in the Kenyan capital of Nairobi carried out by al-Shabab extremists, the Associated Press reported. Kenya’s president, Uhuru Kenyatta, said in a televised address that “all the terrorists have been eliminated,” although he did not say how many attackers were involved. Security footage showed at least four heavily armed men in military-style garb took part in the attack, an assault marked by explosions and heavy gunfire. The terrorist group Al-Shabab, which is allied with al-Qaida, claimed responsibility. The same group also carried out the 2013 attack at Nairobi’s nearby Westgate Mall that killed 67 people, and an assault on Kenya’s Garissa University in 2015 that claimed 147 lives, mostly students. The State Department had not yet identified the American killed late Wednesday afternoon, but I-DEV International confirmed that it was Spindler, its co-founder and managing director. Spindler’s father, Joseph, told the AP that his son worked with international companies to form business partnerships in Kenya that would boost local economies. “Over the last 15 hours, an incredible group of friends in Nairobi helped to search every hospital, every hotline, every channel of information, and now to support his family. … It is a sign of how much he was loved and valued – and the incredible community of Nairobi,” she wrote on Facebook. Chin-Sweeney said that had Spindler survived the attack, he would have been the first one to provide emergency support. Hebron Academy, a private high school in the Oxford County town of Hebron, posted on its Facebook page Wednesday that Spindler was an alumnus. Hebron officials said Spindler was captain of the swim team his junior and senior years, was active in Green Key and Outing Club, and was a member of the Diversity Committee. He later graduated from the University of Texas-Austin and was a member of the Peace Corps. Head of School Daniel Marchetti, who took over in 2016, said he didn’t know Spindler but has been in contact with his family. Spindler was well-traveled and had an avid interest in climbing. Hebron Academy, founded in 1804, is a boarding school for students from 6th grade through high school. Its enrollment is about 300. Among its alumni are Leon Leonwood Bean, the founder of Freeport outdoor retailer L.L. Bean, and Hannibal Hamlin, who was vice president to Abraham Lincoln. The school’s flag flew at half staff on Wednesday.